Casting – Who is the first time on a Casting is often surprised, how much competition there is! Whether models in Berlin, Hamburg, Düsseldorf, Cologne or Munich, the first casting quickly shows you your own limits. Because many are beautiful, many are talented and many are smart. The art is to unite everything as a model, so that your agency can rely on you and your ambition from second one. 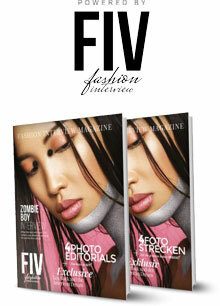 We organize casting in the metropolises and at the Berlin Fashion Week again and again. All dates can be found here on the casting page. Send us your application for the agency casting on 02.02. in Berlin, on 08.02. in Munich or on 22.02 in Cologne. Please send us your period + pictures (Polaroids) here. We look forward to receiving your application. The second Berlin Casting this year. We look forward to you and your talent! Parallel to the fashion week in Berlin we are looking for you! As a Curvy Model or Plus Size Model you have the chance to work for national and international customers. Apply now for our Scouting Week in Berlin Mitte! Our Model Headbooker is back in Berlin! That’s why you as a model have the chance to be scouted in Berlin again next week, at the spontaneous live casting in Berlin Mitte. You can now apply for a personal live date! Apply now for our casting in Berlin Mitte! We invite you to an agency casting between the Federal Chancellery and Friedrichstraße. Send us your application for the agency casting on 05 June 2016 in Berlin Mitte. Please send us your period + pictures (Polaroids) here. We look forward to receiving your application. We will send the confirmations from 27.05. Registration deadline is 04.06.2016 at 18 o’clock. We are happy about the first casting in Spain’s Palma de Mallorca. Here you can register for it! Send us your application for the agency casting on 13 May 2016 in Palma de Mallorca (Spain). Please send us your period + pictures (Polaroids) here. We look forward to receiving your application. We will send the confirmations from 08.05.2016. Registration deadline is 12.05.2016 at 18 o’clock. No show casting! The casting is exclusively for the card indexing at Cocaine Models. We’d like to meet you. Please send us your period + pictures (Polaroids) here. 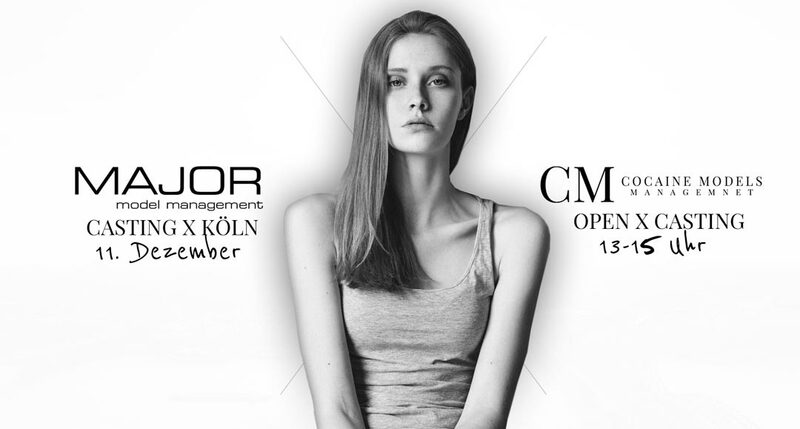 On 18.01.2016 our model agency in Berlin (Winterfeldtstr. 38, 10781 Berlin) is looking for Talents! From 15-22 o’clock you have the chance to introduce yourself personally at the agency Casting Call Berlin. Don’t miss a thing! Subscribe to the CM Model Newsletter! On Friday, 19.02.2016 our model agency is looking for new faces for the new season! Our agency specializes in advertising, fashion and works EU-wide. With model coachings and a lot of commitment we accompany you in your modeling career. The best candidates will get a photo shoot directly on Saturday, 20.02. with the top fashion and sedcard photographer, Oliver Rudolph! Sign up, come by and introduce yourself. The best candidates will also receive an invitation to an exclusive coaching agency with selected experts for Acting, Posting & Catwalk on 21 February in Cologne. All over Germany we are causing more and more attention! In cooperation with magazines, advertising agencies and designers, we create one of the new top German agencies for the model industry. Our model agency ensures that everything runs smoothly, even for the most demanding projects. We are where you are – worldwide! We take over the complete administration so that you can concentrate on your modeling career. Join the casting now and become part of the CM family.